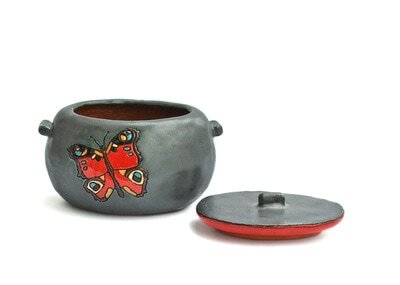 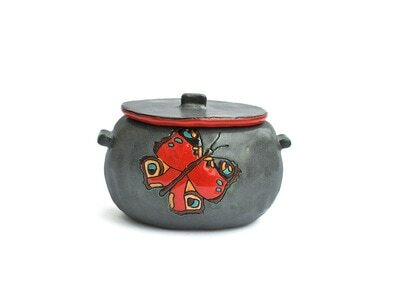 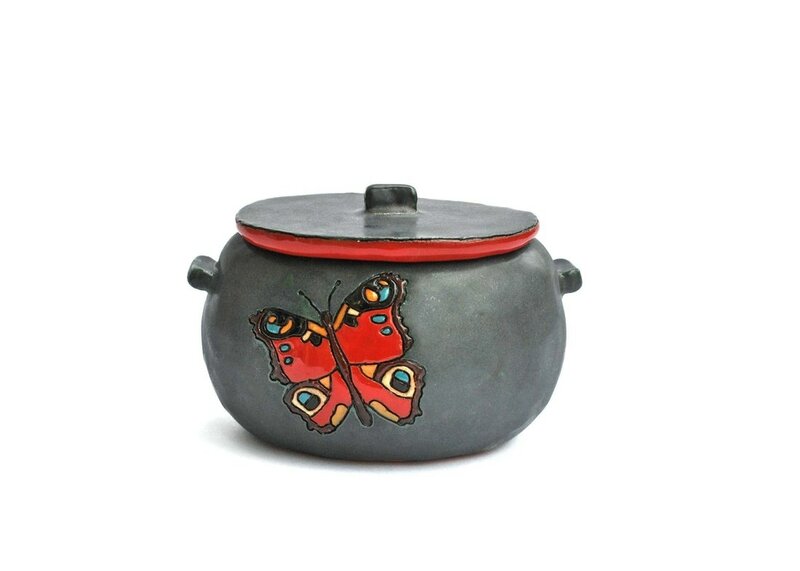 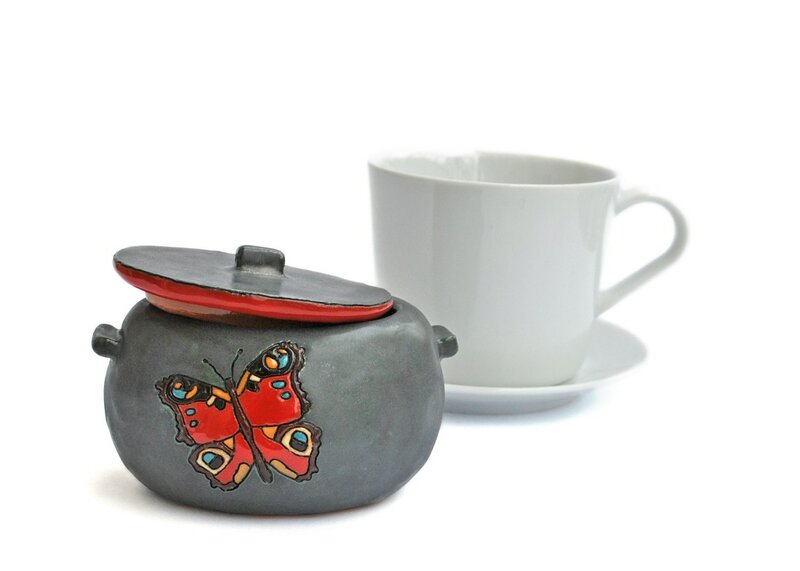 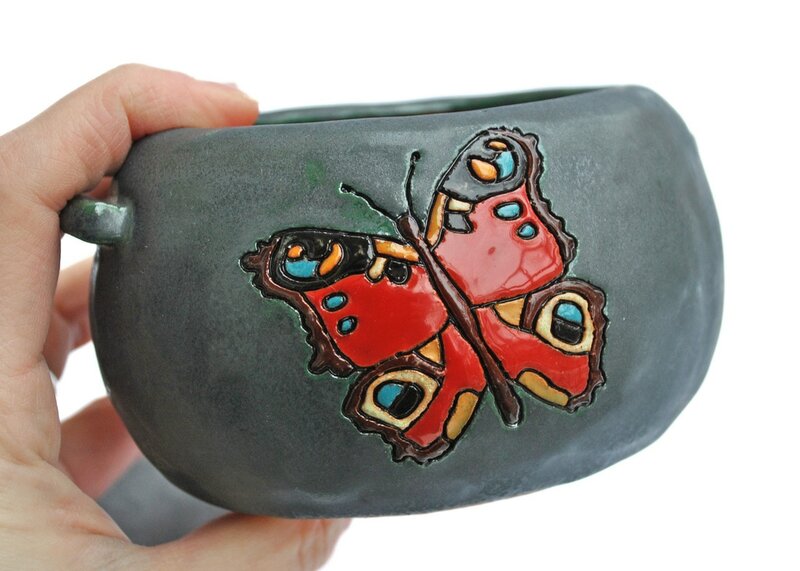 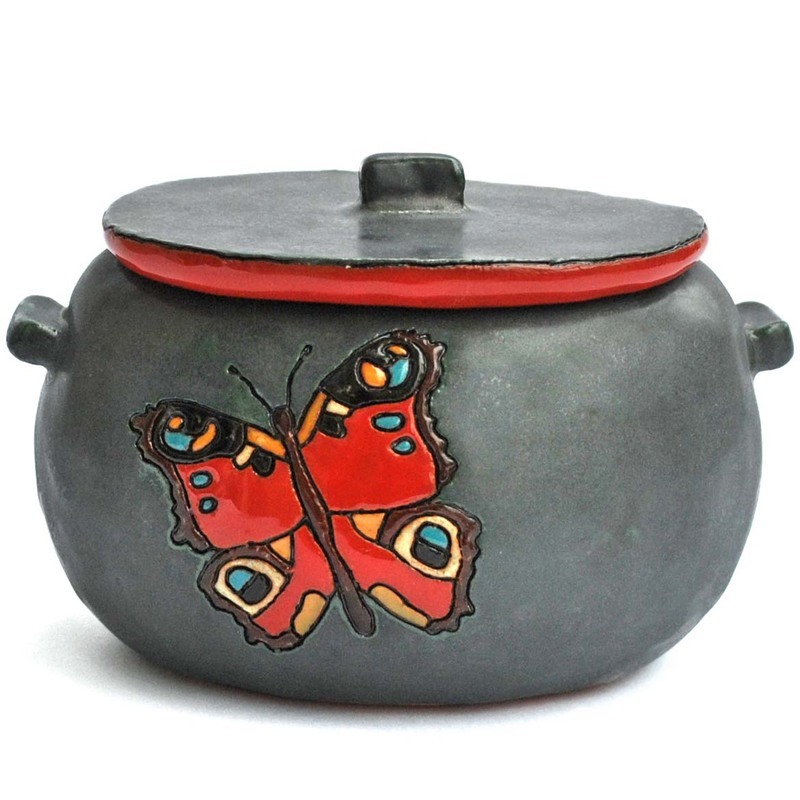 This is a small ceramic holder with a colourful butterfly on both sides on a metallic grey background with patches of green, which makes the colours of the butterfly pop-up. A lovely and eye-catching accent for the kitchen, bookshelf or for that very special corner inhabited by your treasures and memories. 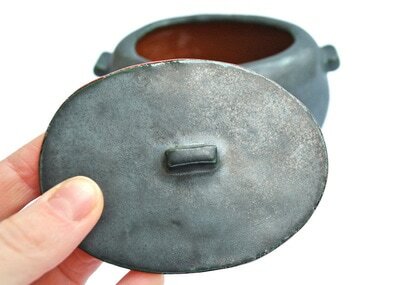 The bowl is 6.5 cm (2.5 in) high and 12.5 cm (5 in) wide at its widest.